Head Over Heels for Chocolate Beer! 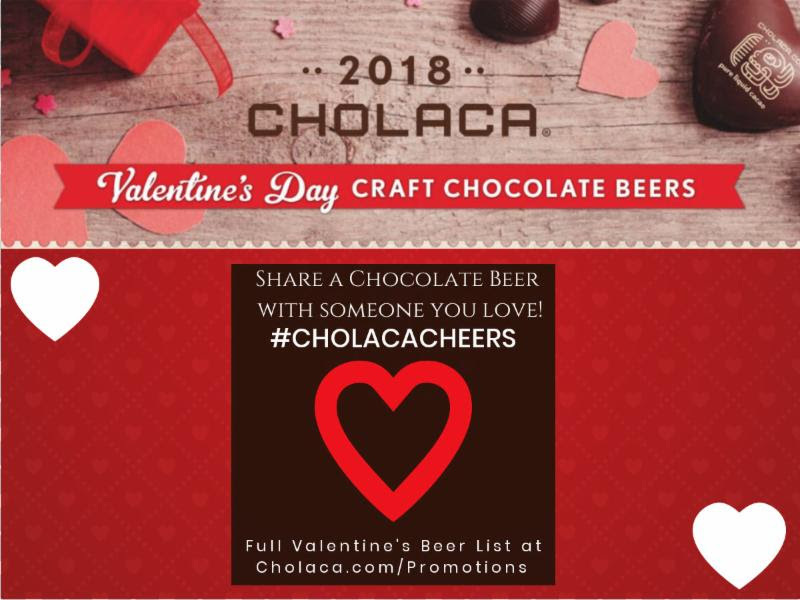 The greatest love story of all time is about to unfold this year when you get your tastebuds on one of our many Cholaca chocolate beers. 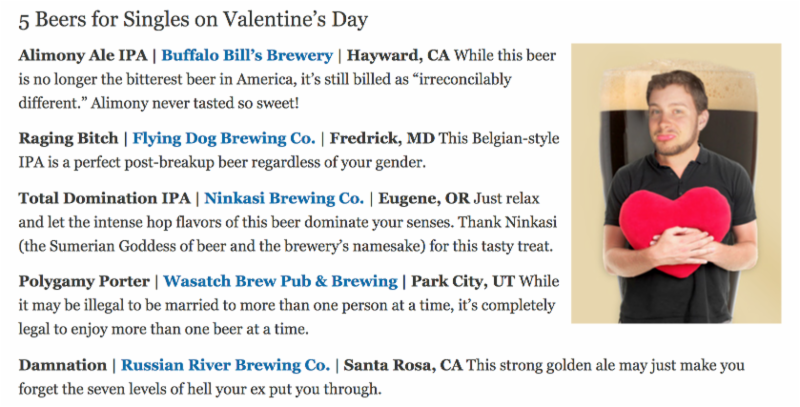 Forget a box of candy hearts, nothing will say I love you like a chocolate beer. One sip and your beer-loving valentine is sure be starry eyed! We are bringing you 14 of the most delicious chocolate beers – one for each day leading up to Valentine’s Day. But why stop there? 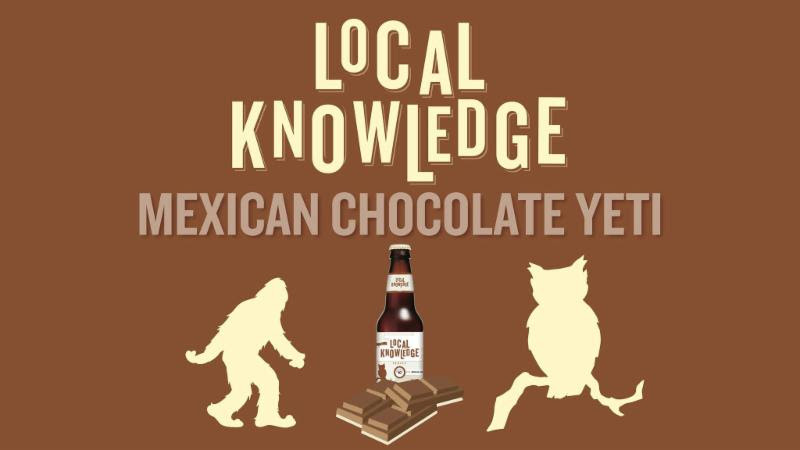 February is National Chocolate Month, that means we are celebrating chocolate beer all month long. Stay tuned via our Chocolate Beer Lovers Facebook Page for upcoming events, chocolate beer news, and what’s on tap now. Would you like to be featured in our Chocolate Beer Lovers Newsletter? Click the link below to send us an email with your chocolate beer content and we would be happy to share. 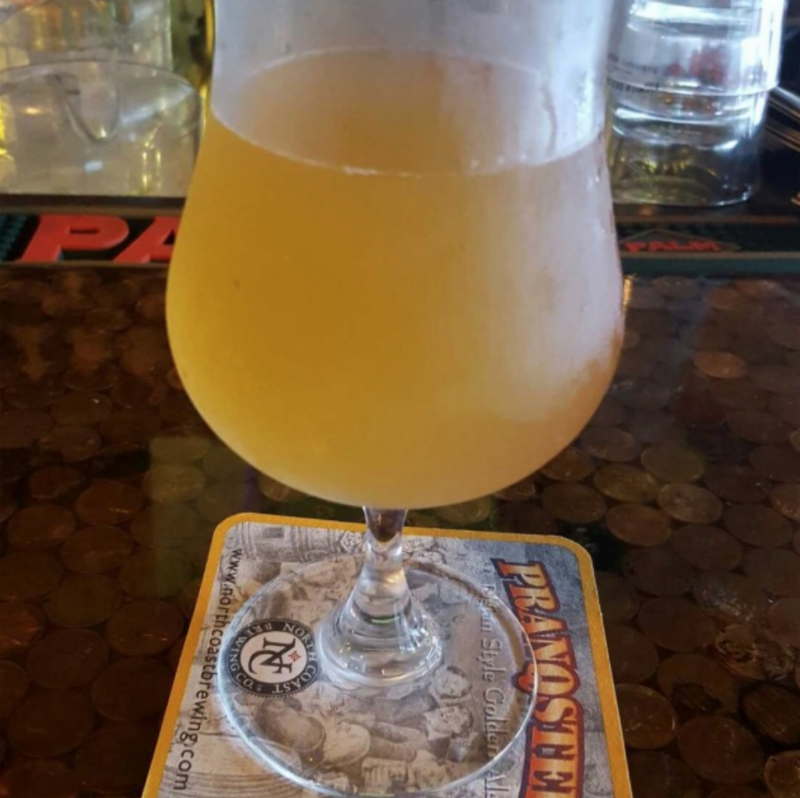 HAVE YOU BREWED WITH CHOLACA YET?! Order a free 32 oz sample today for your next chocolate brew. Join other top brewmasters in saying NO to nibs and YES to Cholaca! 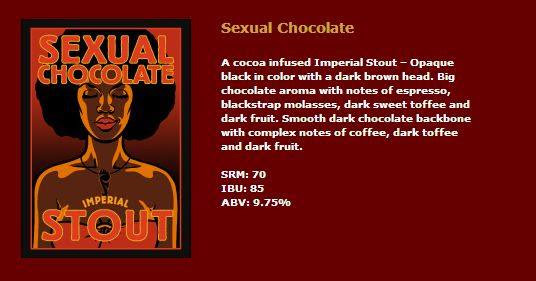 The official release party for Foothills’ highly anticipated seasonal stout, Sexual Chocolate! Visit the silent auction upstairs on February 3 to bid on the incredible prizes from their local partners. 100% of all funds raised from ticket sales and the silent auction will directly support the incredible work happening at Wake County Animal Shelter. 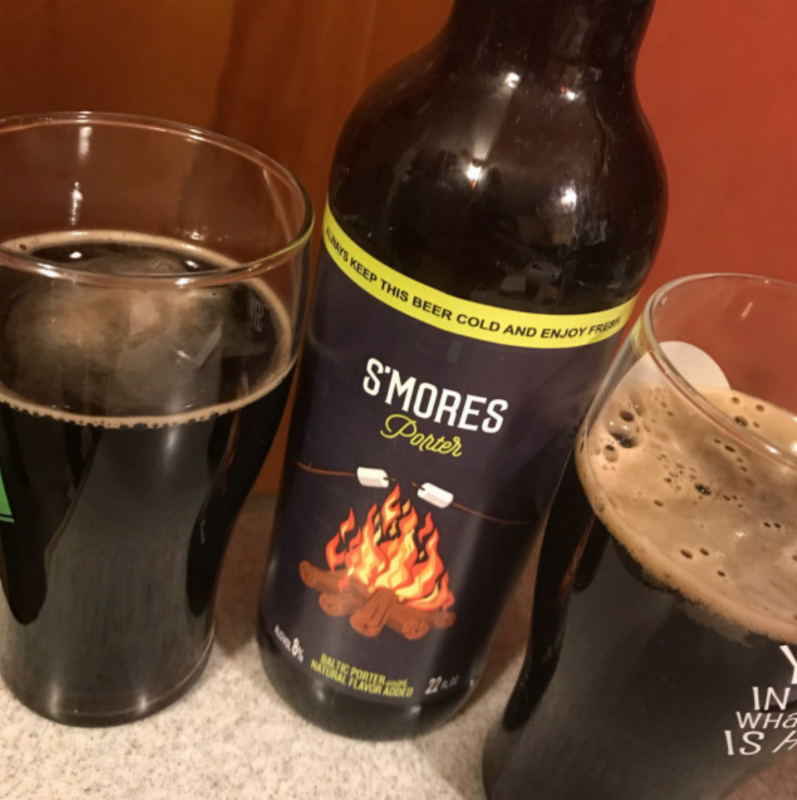 Owner Mike Doble will discuss his innovative take on the growing cult of the “pastry” stout, where decadence reaches new heights for you to drink, taste, and enjoy. 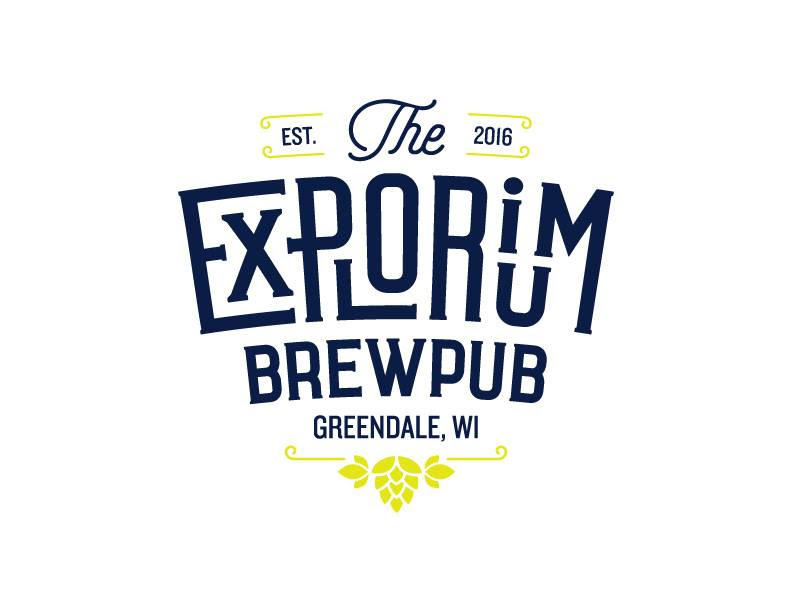 Feel the love with Explorium’s 4 unique stouts and porters to imbibe; 6oz pours each of Dulce de Leche Stout, Tiramisu Stout, Crème Brulee, and S’Mores Porter! Come and treat yourself to dessert before dinner this Valentine’s Day, Admission includes the class, four 6oz pours, and entrance to our Milwaukee Brewing History Exhibit, $15 pre-sale, $17 at the door. “What do you get when you add chocolate to the infamous Great Divide Yeti (Denver, Colorado)? A creature that’s even more elusive and absolutely delicious when captured.” Check this tasty chocolate beer out now on draft. This stout was brewed with pecans, vanilla bean, toasted coconut and pure liquid cacao. Aroma is similar to a chocolate milk shake with subtle nuttiness. The flavor is dominantly chocolate, with that same subtle nutty flavor. 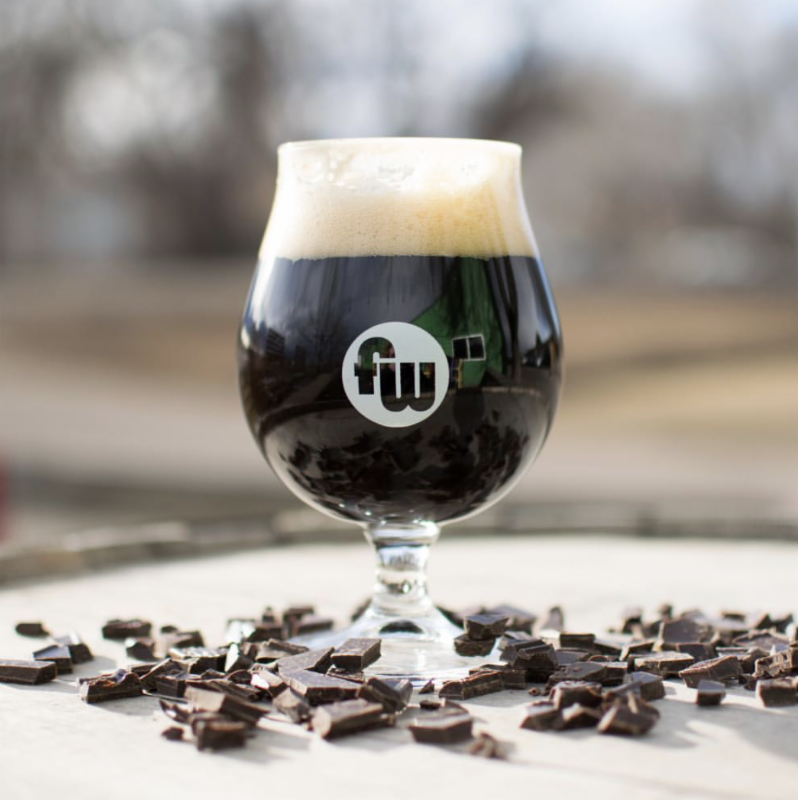 Here’s another award-winning chocolate beer for all of you chocolate beer lovers. 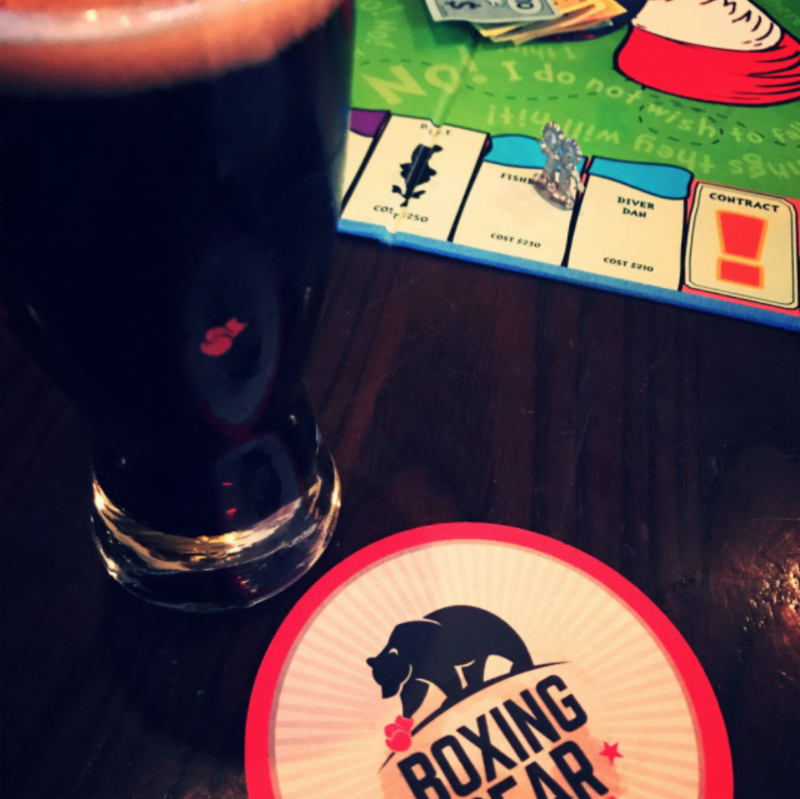 This Boxing Bear Bewing (Albuquerque, New Mexico) beer won silver in the Sweet Stout category at the 2015 Great American Beer Festival. Available in 22 OZ bombers. Just like the candy bar, they have added Peanut Butter and Cholaca, pure liquid cacao to CBGB. Better get your fingers on this beer quick! 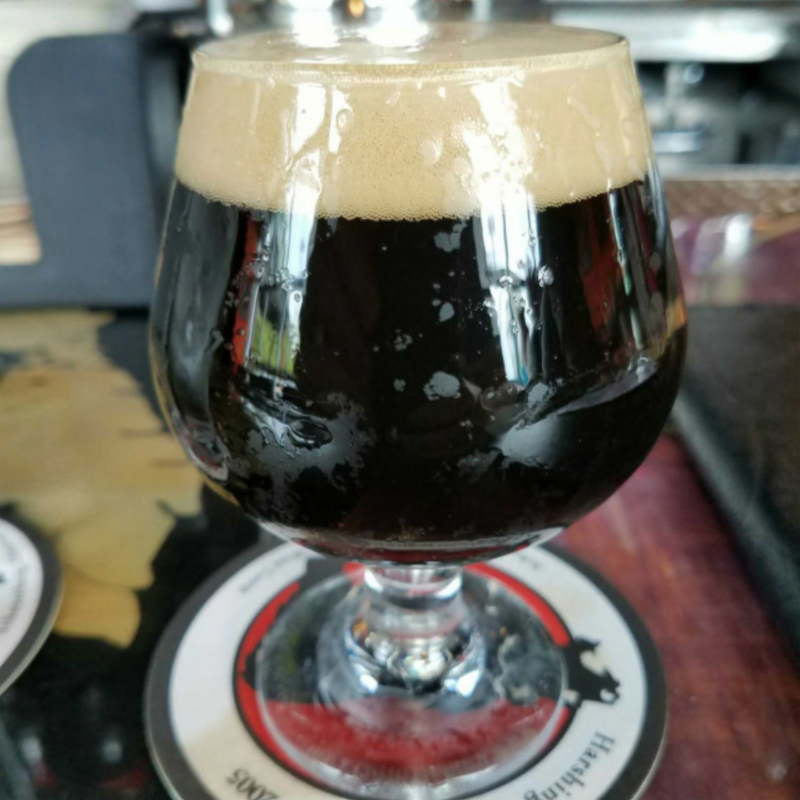 This roasty toasty chocolatey warmth in a glass is known as “Dark Matter.” Stop into Funkwerks Brewing anytime during the month of February to enjoy this tasty beverage on draft. Flying solo this heart day? These beers curated from CraftBeers.com are sure to be good company.